Deposit – £60+VAT – Paid at the time of booking. Please note: CND™ Shellac™ Beginners or Conversion qualification is required. 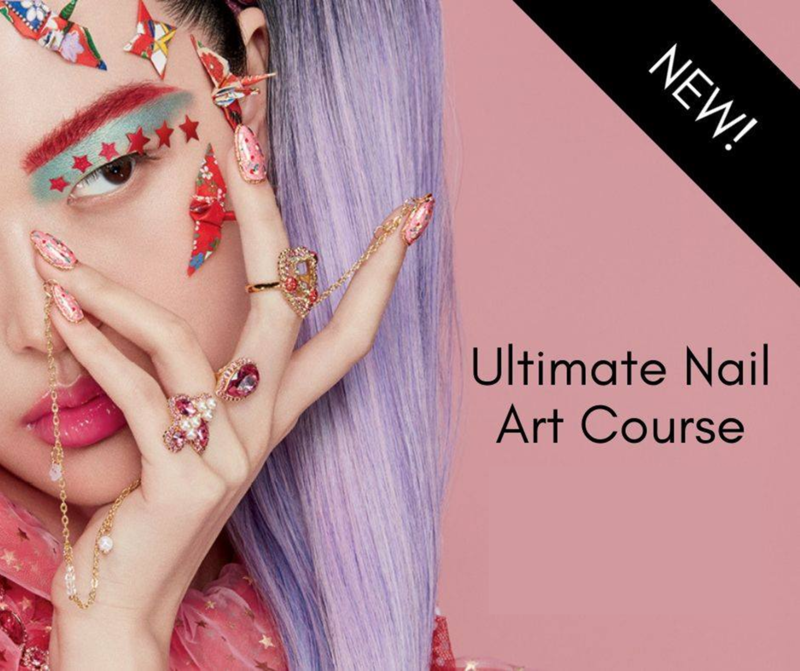 This awesome course is technique focused to create the most impressive, on-trend, wow factor nail art in a way that is super easy and effective, ensuring your clients return every time and assist in you recreating the fabulous designs on your news feeds. Perfect for both nail artists that want to create more awesome designs or absolute Nail Art beginners. Featured within this course are Lecenté glitters, Smooth It! plus :YOURS stamping plates along with Shellac™, Vinylux™, Foils, Hand Painting, Embossing, Ombre, Watercolour and Chromes to assist you in creating fashion forward nail creations. Ultimate Nail Art Kit includes – Nail Art Brush & Tool Kit, Layer It, Smooth It, Chrome Powder, White Ombre, Pink Ombre, Flamingo Chunky Glitter, Lecente Applicators, Lecente Brushes S2, G1, P1, Halo Stamper, ;YOURS Scrape Card, Stamping Plate, Nail Art Ring. You will need the following items on the day – Selection of CND™Shellac™ and or Shellac LUXE Colours plus Shellac Top Coat, selection of CND™Vinylux™ Colours including Top Coat, Stamping Plates, Scraper and Stamper, Selection of Glitters, Neon Powders, Selection of foils, Lecenté™ Brushes:, Dotting tools, Unused CND™ Glossing Buffer™ or Glossing Block™, Selection of CND™ files, Selection of Swarovski Crystals/Gems, Selection of your favourote stamping plates, Cosmetic Sponge, Tweezers, d.sperse, Desk Roll, Cuticle Pusher, Dappen Dish, Palette or Tile Plastic backed pads/Lint free wipes, CND™ LED™ Lamp or Original CND™ UV Lamp, Any additional nail art products from your kit.